Reading AC Fixes & Installations: FREE Quotes! Nobody likes dealing with a steamy, hot home when the air conditioning is not working. Don't settle for long repair times and high prices. We offer emergency air conditioning repair service in the Greater Reading, PA area. Call today to get your home or office cool again. 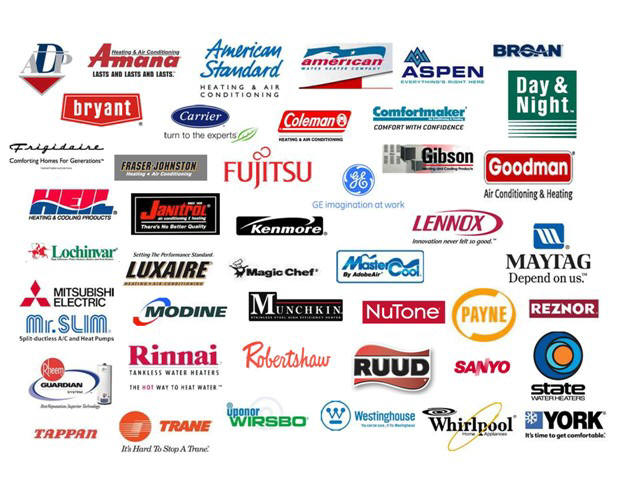 Our technicians are trained in all types of cooling equipment, central air conditioners and ductless AC systems. Cool down in your home again with our Air Conditioning Repairs. Having a broken air conditioner in the summer is the last thing that you want to deal with. You might feel like you can fix it yourself. However, keep in mind that a professional will have all the experience and parts needed to make the repair. Additionally, hiring a professional will save time and the repair will be done correctly. Understanding what needs to be handled by a trained technician can help you save your sanity and your time. Here is when you know that it is time to call a professional . Does Your House Or Air Conditioner Have Power? Often times, our service technicians are called to a house that has no electricity. This is embarrassing and it causes some bad feelings when the service technician needs to collect payment for a service call just to say, "Call us back when the power comes on." See to it that you have power to your ac system prior to call for a repair. Does it seem like your electricity expenses are constantly rising? Do you seem to get more expensive electrical bills with every summer? It is normal to have utility bills increase as a result of inflation, nevertheless these increase should not be substantial. Cooling and heating expenses are a major component of most home's budget. However if these bills grow excessively, it could be indicator that your HVAC system ought to be replaced. Do areas in your house encourage you to remain in different parts of the home given that they are more comfy? Are there rooms in your house that don't seem to get cool whatsoever? Irregular cooling is a clear sign of inefficient ac unit operation. It is true that direct sunlight and second-story areas have the tendency to be hotter than other parts of the home. However, an efficient A/C system should be able to make them comfortable. A cooling system that continuously cycles on and off is not normal. As a matter of fact, this can trigger damage to your air conditioner. To reduce further damage, we recommend that the air conditioning unit be turned off. Often this issue is caused by a faulty control board or relay problem. Of the various unusual sounds an AC can make, rattling is among the most common. We have often make service calls for rattling air conditioning. If you start hearing your air conditioner rattle, consult with us, and we will get right out to you to discover what the trouble is and fix it before it grows into bigger trouble. Other sources of sound problems are loose panels. Rattles typically come from panels like this. In certain cases the panels on the cabinet housing the condenser or the evaporator will become dislodged as a result of screws that have loosened or weren't screwed tight enough after the panel was opened. Before considering other issues, make sure the panels are secure. Loose dirt and debris in the unit can make strange sounds. The inside of the air conditioner should be kept as clean. When the surrounding area is not kept clean, debris can enter. When this happens, a repair should be called immediately. Debris can damage air conditioning components. The best course of action is to clean the debris and to prevent future issues by cleaning up the outdoor space.